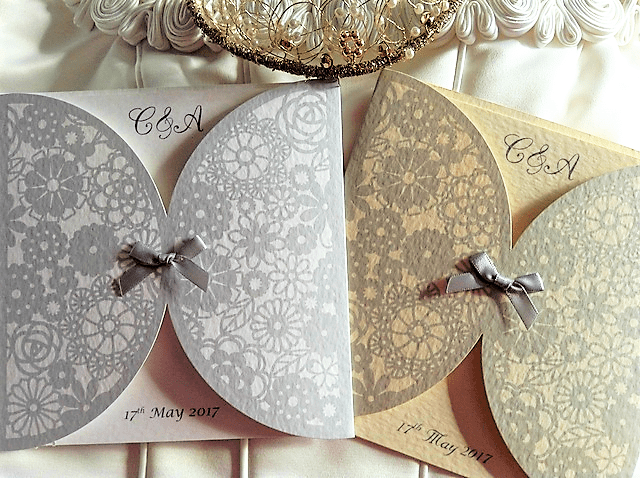 Decorative Sleeve Wedding Invitations are perfect for metallic themed weddings. 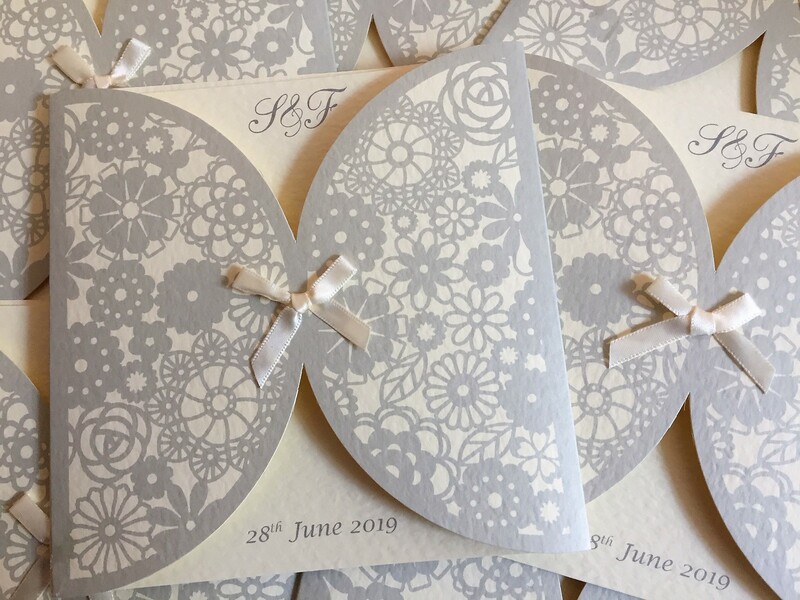 Beautiful personalised decorative sleeve wedding invitations are supplied on a thick heavy weight (270 gsm) hammered card available in white or ivory. This two part invitation card consists of a large square invitation with an attractive decorative sleeve finished with a quality satin bow applied to the front. 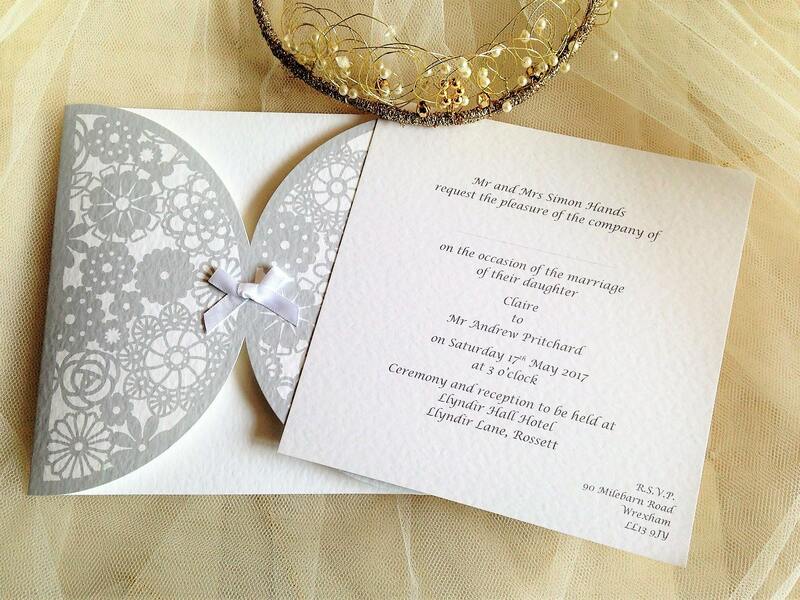 Invitation card is inserted into the sleeve and details the bride and groom initials and wedding date. 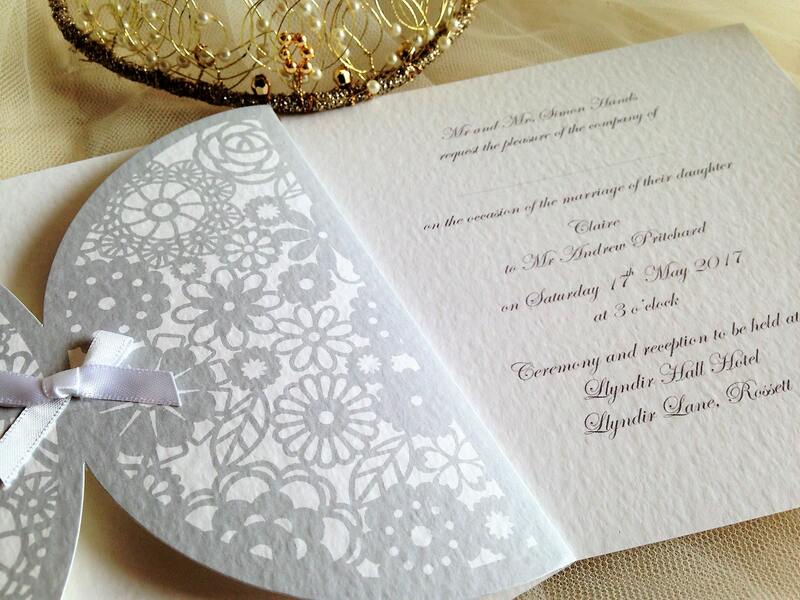 Invitation details are printed on the reverse. Sleeve design is a silvery grey colour as shown in the photographs. Satin bows are available in White, Silver or Ivory. There is a good selection of font styles and we can print the text of your wedding invitations in any colour to match a colour scheme. Why not take us up on our free guest name printing? If you prefer to handwrite your names then we can insert a line instead.